Smartphones are perhaps the most personal tech we own. That’s why it’s super important to pick the phone that’s best for your needs. There are many factors to consider, from design and operating system to security and durability. In this guide, we consider every aspect of a smartphone to determine whether it’s a good buy for you, or if you’re better off with something else. After much debate and soul-searching, we landed on the Samsung Galaxy S10 and S10 Plus as our top pick for the best phone available right now, though for iOS fans, Apple’s iPhone XS is still a close second. Here’s why the Galaxy S10 ultimately triumphed, and our picks for other smartphone categories. If you’re partial to the Android mobile operating system, we’ve compiled a list of the best Android phones on the market. Why you should buy this: You get a stunning, elegant design, cutting edge hardware, and a versatile camera. Who it’s for: Anyone who wants the best screen, backed by strong performance. Samsung’s Galaxy S10 and S10 Plus are the culmination of years of refinement. The elegant, minimal design has evolved to be highly desirable, the software experience has been overhauled to offer something slick and truly thoughtful, and the camera suite is one of the most versatile you’ll find. The first thing you’ll notice about the S10 or S10 Plus is the gorgeous Dynamic AMOLED screen. 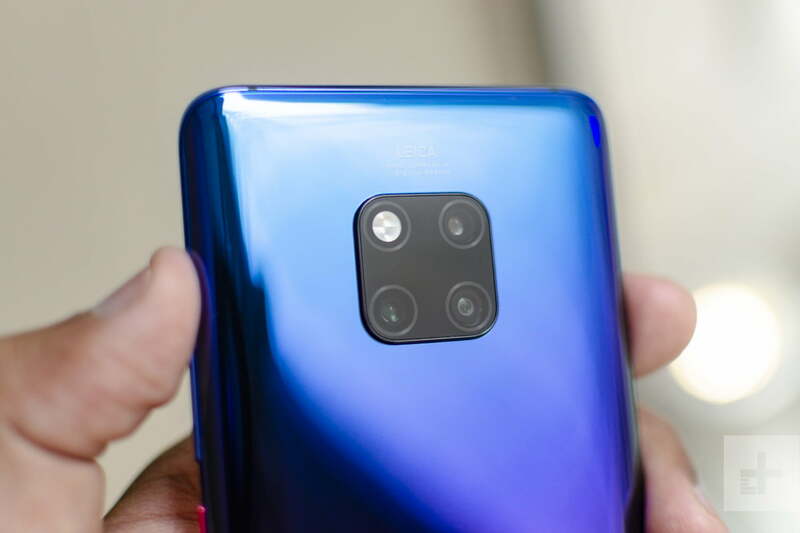 It covers almost all of the front of the phone, stretching to the edges and curving into the metal frame, broken only by a hole-punch camera at the top right — single lens on the S10 and dual lens on the S10 Plus. That’s one of the few differences between these two phones, so your preference really boils down to the size you want. 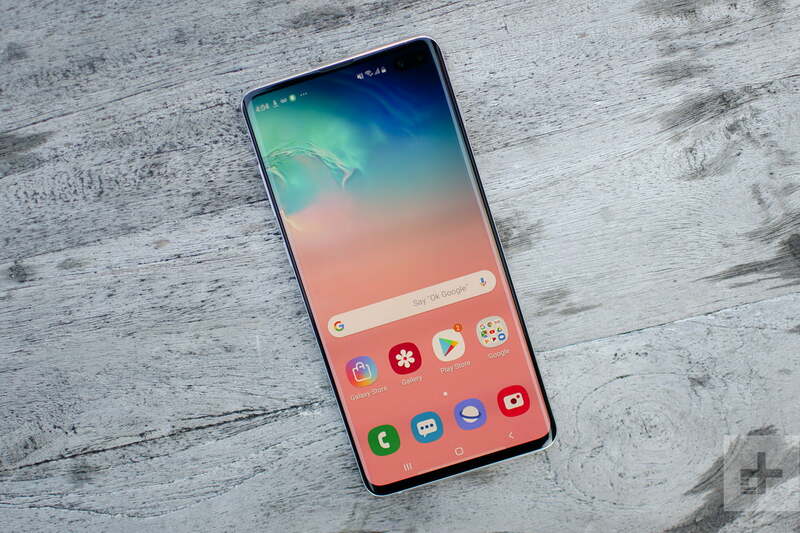 The S10’s screen is 6.1 inches, while the S10 Plus jumps up to 6.4 inches and is definitely a little harder to handle. Both are sharp, with HDR10+ certification, a wide resolution, and reduced blue light. Those spectacular screens are paired with stereo speakers, making these phones perfect for movie watching. You won’t see a fingerprint scanner in evidence, because Samsung has slipped it into the display. While you have to be quite precise, it’s the best in-display fingerprint sensor we’ve tested so far. General performance is fluid and snappy thanks to the Qualcomm Snapdragon 855 processor, which is backed up by 8GB of RAM. There’s also 128GB of storage space and room for a MicroSD card. Samsung also offers a 1TB version of the S10 Plus with a whopping 12GB of RAM. The One UI, which Samsung layers on top of Android 9.0 Pie, is miles away from TouchWiz and much improved. It’s generally easy to find everything you need and there are lots of customization options. The only negative is that Samsung tends to be slow to update the underlying Android software, so you may have to wait a while for Android Q when it comes out later this year. 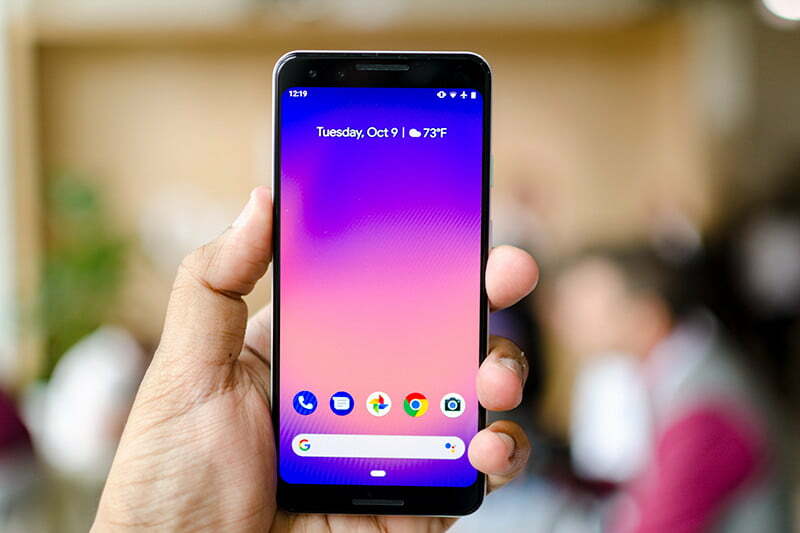 The Pixel range continue to be the only Android phones that can fully compete with Apple’s iPhone in several key areas — security, timely software updates, and software design. But it goes further with meaningful artificial intelligence features anyone can appreciate. Google manages the Android operating system, and so with the Pixel series, it’s able to optimize the hardware and the software — similar to what Apple does with the iPhone. That approach, plus the Qualcomm Snapdragon 845 processor and 4GB of RAM, makes the phone a joy to use. It has the best software experience on a phone, and it performs fluidly. The Pixel 3’s spotlight feature is its 12.2-megapixel camera, which is one of the best around — more on that below. The Achilles’ heel is battery life, which will mostly get you through a day with average use, but can cause some anxiety. Most manufacturers have stepped up their photography game in recent years and Samsung is no exception. The main camera features three lenses, arranged horizontally on the back. There’s a standard 12-megapixel lens with a variable f/1.5 to f/2.4 aperture, a 12-megapixel telephoto lens with a f/2.4 aperture, and a 16-megapixel ultra-wide-angle lens with a f/2.2 aperture. This camera is equipped for every situation, whether you’re snapping friends in a nightclub, capturing a beautiful landscape, or zooming in on some action from afar. The camera app is packed with tricks to help you get the most from your photos and videos. On the front, the S10 and S10 Plus sport a 10-megapixel lens with a f/1.9 aperture, but on the S10 Plus it’s paired with an additional 8-megapixel lens with a f/2.2 aperture capable of capturing better depth information for that bokeh effect in selfies. Battery life is another strength, particularly in the S10 Plus, which has a 4,100mAh battery. The Galaxy S10 has a 3,400mAh battery. Sadly, both are limited to Quick Charge 2.0 speeds for wired charging, but they can charge up pretty quickly via wireless charging pads and they can even share power with other Qi-certified devices, thanks to the Wireless PowerShare feature. Both phones also boast IP68 ratings, so water is nothing to worry about. The prices may give you pause, at $900 and up for the S10 and $1,000 and up for the S10 Plus, but Samsung is giving you a lot for your money here. These are beautiful, powerful phones that can do whatever you need them to. Why you should buy this: You want the most powerful, secure, and shutterbug-friendly iPhone ever. Who it’s for: Anyone who wants the best iOS experience. The iPhone XS is good at almost everything. It’s even better than the iPhone XS Max, because it’s the perfect size with its 5.8-inch screen. Speaking of its screen, the high-resolution OLED is energy-saving and colorful, with inky, deep blacks. The edge-to-edge, or “bezel-less,” design, makes watching videos and movies feel a little more immersive. The all-glass design means you can wirelessly charge the iPhone XS, and it’s the most water-resistant iPhone, with an IP68 rating. The A12 Bionic processor remains unmatched, with reliably fast performance when moving around the home screen or playing intensive augmented reality games using ARKit 2.0. The TrueDepth camera makes a return, and Face ID is even faster. Apple is still one of the only companies that has a secure facial-recognition tool that can log into all your sensitive apps on a system level. This front-facing camera system also lets you make fun Animojis and Memojis, and the fluidity and tracking capabilities are still unmatched. Then there’s Portrait Mode, which helps up your selfie game. The battery easily lasts a full day, though like with most flagship smartphones, heavy use will bring it perilously low. It looks like three iPhones a year are going to be the norm. While the flagships are the iPhone XS and XS Max, the iPhone XR brings you many of the same features at a price that won’t empty your wallet. What’s missing on this $750 phone? There’s no secondary lens, but you can still use a limited version of Portrait Mode. The screen is also an LCD with a 1,792 x 828 resolution, which is low, but it’s sufficient for most people, and the screen looks sharp at a reasonable distance. You get Smart HDR, which helps keep photos looking well-exposed in high-contrast scenarios, Face ID alongside the bezel-less design, and Apple’s A12 Bionic processor. Sure, the edges around the screen are a little thicker, but you’re saving a lot of cash with the iPhone XR, and that makes it a superb value. iOS 12 is smart, with artificial intelligence powering a lot of the new features. There are Siri Suggestions, where Siri can adapt to your usage patterns and make suggestions like responding to a call or text when it’s been sitting idle for some time. Grouped notifications also dramatically improve the way you interact with notifications, making them far easier to deal with. On the iPhone XS, it all feels snappy and fluid. 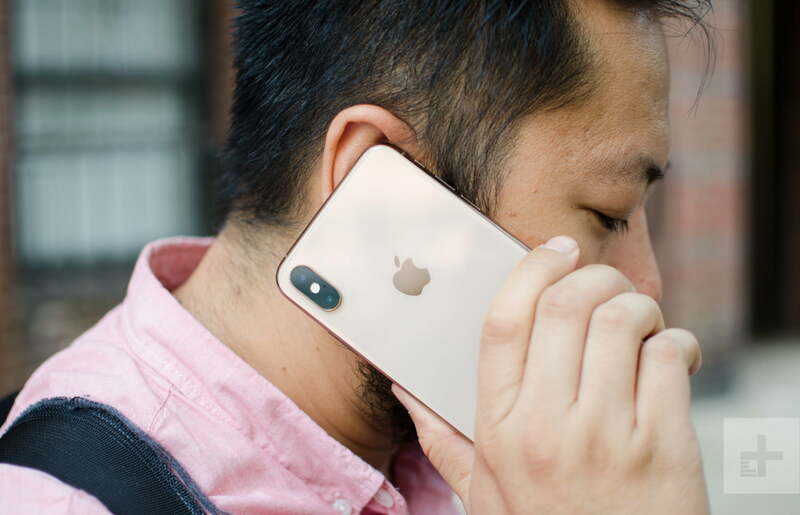 Add to all that Apple’s commitment to your security and privacy, instant software updates, and its industry-leading customer service that lets you walk into any Apple Store and get help for free, and you have one great smartphone. The lack of a headphone jack is still one of our major issues with the iPhone XS. It comes with Lightning EarPods, but Apple decided to remove the 3.5mm-to-Lightning adapter this year. It’s silly not to include it, considering you’re paying so much for the phone. Apple should also include a fast charging cable in the box, like every other manufacturer, since the new iPhone supports it. This is the best time to buy an iPhone, and the iPhone XS is worth every penny. If you think the screen size is too small, spring for the iPhone XS Max, which has a 6.5-inch screen for the best viewing experience and slightly better battery life. Our other top contenders include the Google Pixel 3 or 3 XL, which we’ve already mentioned. They win points for incredible camera performance, slick software, and swift updates. 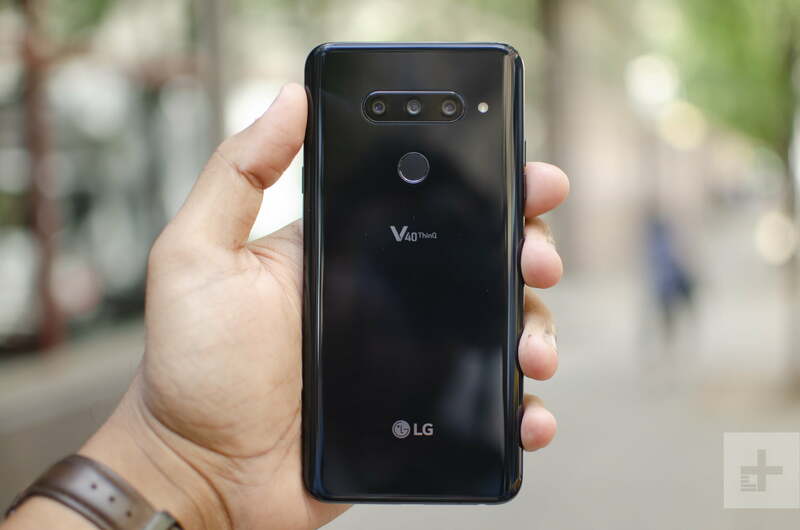 The LG V40 ThinQ is a great choice that’s chock-full of features you will want, including a headphone jack, and there are five cameras for increased versatility. The image quality isn’t as strong as the Pixel 3, though. 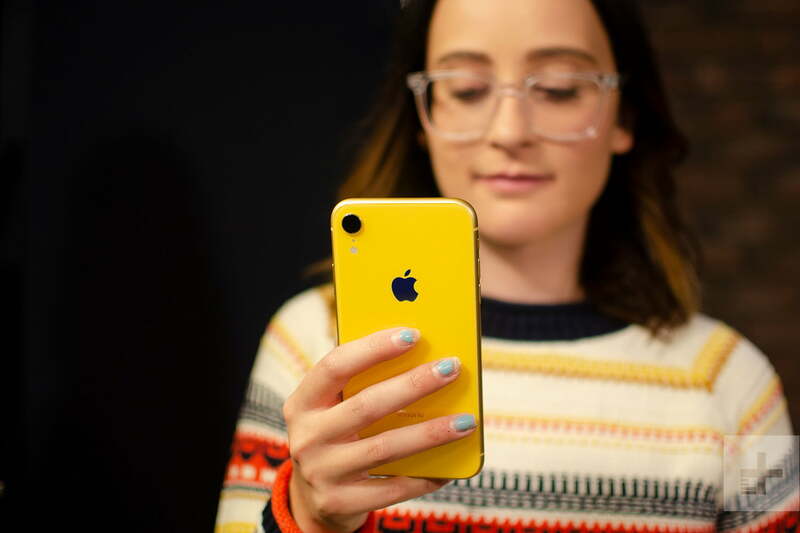 We’ve also mentioned this already, but the iPhone XR is the best iPhone to buy if you don’t want to shell out $1,000 for a new iPhone. If you’re looking for a real bargain, we recommend going for the OnePlus 6T. It’s a phone with flagship specifications, but it only costs $550. Even better, OnePlus finally has a carrier partnership in the U.S., so you can play around with the phone at any T-Mobile store in the U.S. before you buy it. It also works on Verizon’s network as well, allowing more people to use the phone than ever before. Its biggest downsides are it doesn’t have a headphone jack, water resistance, or wireless charging, and the camera isn’t its strong point. Still these are minor quibbles, and the OnePlus 6T is still the best value you can get for a smartphone. 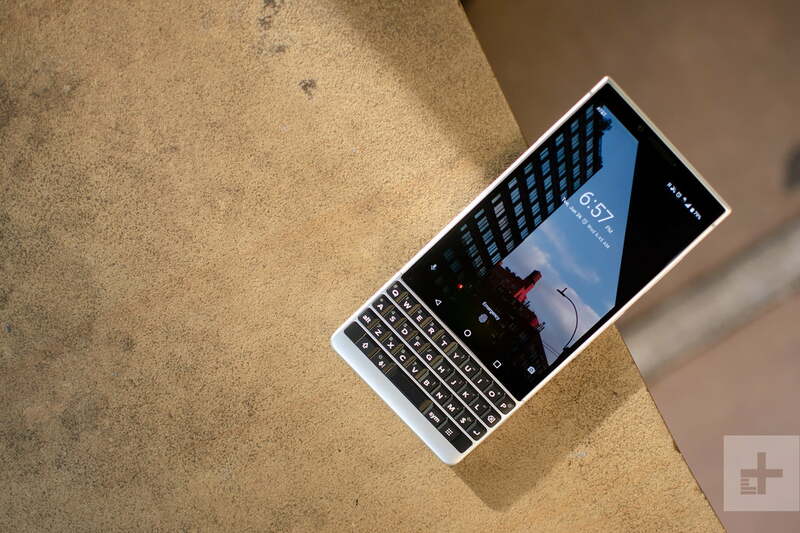 For a true alternative to modern all-glass smartphones, we recommend taking a look at the BlackBerry Key2. Yes, the company is still around, but it’s TCL that makes the hardware, and BlackBerry Limited manages the Android software. The physical keyboard is absolutely fantastic, and it’s not hard to switch from a touchscreen one. The Key2 may not have the same technical power as the other smartphones we’ve talked about, but it deserves a place here because it’s not just unique — it’s good. Why you should buy this: It has the best smartphone camera you can buy. Who it’s for: Anyone who wants the best smartphone camera. Nearly all flagship smartphone cameras these days are excellent, but Google’s Pixel 3 and Pixel 3 XL stand out by reliably capturing remarkable photographs. 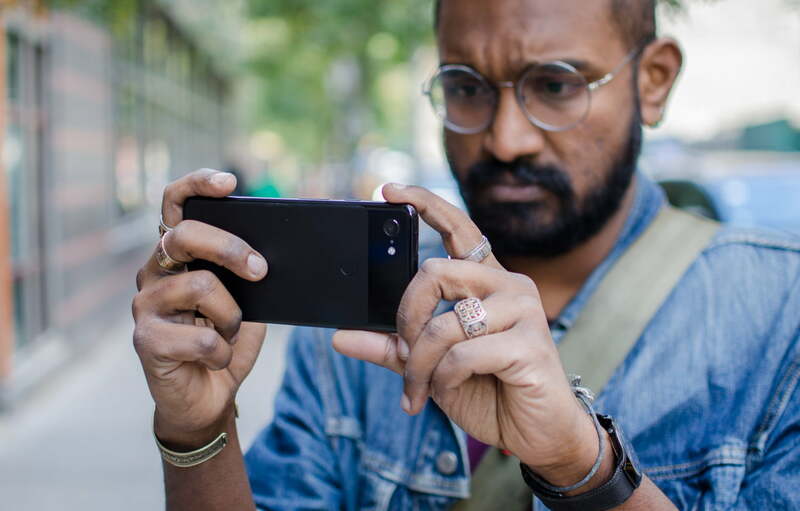 Both the Pixel 3 and 3 XL have the same exact camera and features, so you can’t go wrong with either, but the smaller Pixel 3 is cheaper. 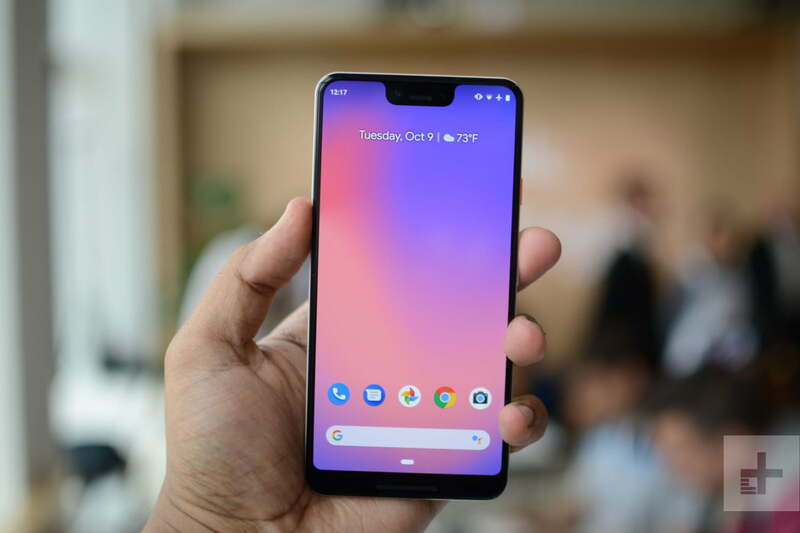 The Pixel 3 phones have a 12.2-megapixel camera, but it’s Google’s image processing that does all the hard work. There’s virtually zero shutter lag, and while the processing takes a second or two, the results are astonishing. The Pixel excels thanks to Google’s HDR+ technology, where the smartphone captures multiple photos at once, picks the best one, and layers the rest to produce an image with the least amount of noise. This also eliminates overexposed or underexposed parts of an image, resulting in excellent dynamic range. Huawei’s P20 Pro took the world by storm, offering an three lenses that delivered stunning photographs. The company is now going a step further with the Mate 20 Pro. It’s an excellent camera system, now with one standard 40-megapixel lens, a wide-angle lens, and a 3x optical telephoto lens. This gives you far more versatility, allowing you to capture the perfect photo. It offers incredible detail, super-slow-motion video, and a whole lot of artificial intelligence to help you up your photography game. It’s also fast with the Kirin 980 processor, has fantastic battery life, and comes running with Android 9 Pie. But sadly it’s not officially available in the U.S., and it’s expensive to import. Though there is only one camera on the rear, Google has a Portrait Mode, which blurs out the background behind a subject. It’s impressive what Google can do with just software, as the camera can very accurately detect depth and the subject in the photo. It’s as good, if not better, than Portrait Mode on the iPhone XS and iPhone XR, and you can also control the blur intensity after you snap the photo. There’s also Super Res Zoom, which uses artificial intelligence to improve digital zoomed photos. The Pixel 3 takes multiple photos before and after you tap the shutter button, and because of this, Top Shot is a new feature that recommends the best frame in case you missed a perfect moment. A new Photobooth mode lets you place the camera down and make funny faces or smile, allowing you to free your hands as you and your friends take fun selfies, photobooth-style. This uses A.I. to detect the best shots. A.I. is also used with an upcoming feature called Night Sight, which will make low-light photos look dramatically better. Even better, Google has added an extra wide-angle camera on the front, so you can get way more in the shot — especially handy for group photos. The excellent camera experience is paired with Qualcomm’s Snapdragon 845 chip, which is still speedy, along with 4GB of RAM. As we mentioned earlier, Google’s software optimization results in one of the most reliable Android phones ever made. Best of all? The Pixel 3 is water-resistant, and it gets automatic software updates directly from Google, so your phone will always be up to date and perfectly safe. Google also offers 24/7 customer support right in the settings menu, so you can reach out to Google immediately if you have a problem. Why you should buy this: Smartphones are as good as they last, and you need a phone that can last more than a day. Who it’s for: People who need a phone that can last two days. You will find an impressively large 4,200mAh battery in the Huawei Mate 20 Pro, which is enough to see you through two days before you need to find an outlet. It’s not just the big battery that gives this phone such stamina — Huawei has also pulled off some clever software trickery to optimize power management. In addition to boasting a long-lasting battery, the Mate 20 Pro also supports quick charging, with Huawei’s proprietary Super Charge technology offering a full charge from empty in 70 minutes. There are no compromises under the hood to achieve the solid battery life. The Mate 20 Pro is packing Huawei’s latest Hisilicon Kirin 980 processor, backed by 6GB of RAM with 128GB of storage (an 8GB RAM version with 256GB of storage is also available). We found performance to be fast and smooth in our testing. With a 4,000mAh battery, the Razer Phone 2 can easily take you to a second day. it can also just as easily run out after a full day if you leave the special 120Hz screen on all the time and you game at the maximum graphical settings possible, with the logo on the back constantly shining brightly. It’s a gaming phone, so it needs a lot of juice, but for days where you game less, this phone can easily go into a second day. There’s a Snapdragon 845 inside backed by 6GB of RAM, a 5.72-inch Quad HD display, and 128GB of internal storage. The biggest downside is the camera, which doesn’t match the phone’s $800 price tag. But if you need something that will last for extended periods between charges, it’s worth considering, especially since it’s sold in the U.S.. The 6.39-inch AMOLED Quad HD+ display is vivid and sharp, and there is an excellent triple-lens main camera that combines 40-megapixel standard lens with a 8-megapixel telephoto, as well as a 20-megapixel wide-angle. 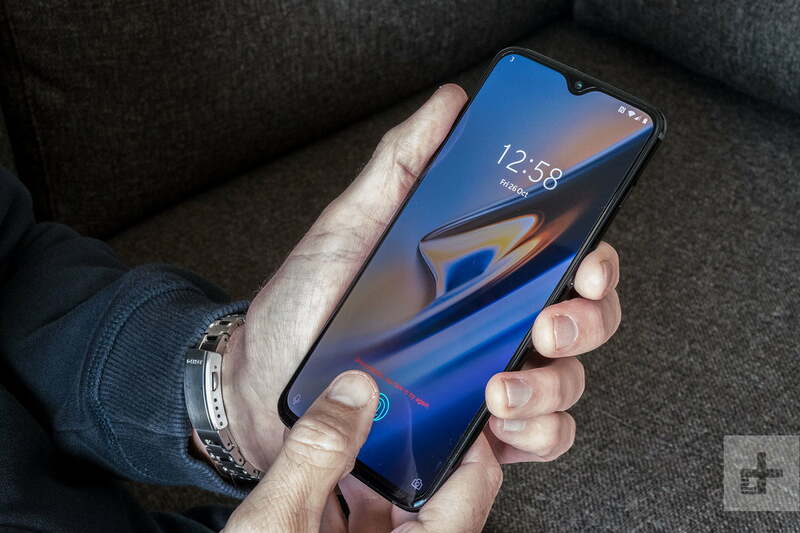 We also like the design, with a notch at the top of the screen for 3D facial recognition to unlock the phone, and a slim bezel at the bottom. There’s an under-glass fingerprint sensor as well, and while it doesn’t work as well as we’d like, it’s one of the few phones with this technology. If we had to find a weakness it would be Huawei’s EMUI user interface — which still thankfully runs Android 9 Pie — and the fact this phone isn’t coming to the U.S.
You can check out our roundup of other smartphones with the best battery life for other alternatives. Why you should buy this: You’re on a strict budget, but you still want a powerful phone. Who it’s for: Bargain buyers who want a stock Android phone. 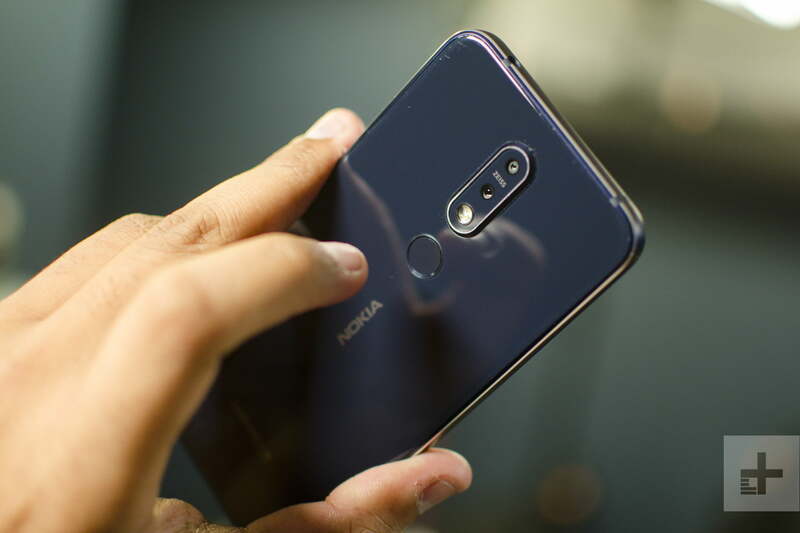 The Nokia 7.1 is close to being the perfect budget phone. with a $350 price tag, it’s extremely affordable for most people. The build quality is superb, as the aluminum unibody feels sturdy, though don’t expect the “toughened” glass on the back to withstand cracks or scratches. The Moto G series has long held the budget crown, so you may still want to check out the Moto G7 at $300. It boasts a dual-lens camera and fast charging. On the other hand, Motorola has allowed some bloatware to creep in and the price to creep up. If you’re outside the U.S., we recommend the Moto G7 Plus instead. The best part of the Nokia 7.1 is software, because it runs Android One. It will get fast version updates for two years, and security updates for three, which is rare for most budget phones. It will get an update to Android 9 Pie by the end of November. The interface is stock Android, which means there are no flourishes in the software or any additional bloatware (other than Google apps). It’s uncluttered and easy to use. The camera is quite capable too, producing photos worth sharing on social media, though you often need to stay very still to make sure it’s not blurry due to the lack of optical image stabilization. The biggest downside of this phone is that battery life may not last you a full day with heavy use. With medium to light use, we usually managed to hit 40 to 35 percent by 6 p.m. This is a decent time to purchase a smartphone. Keep in mind more phones will come out in the next few months, so if you’re undecided on what’s available right now, wait two months or so to see what the rest of the market will look like. It’s best to buy your phone unlocked if possible, as they can be used on any network, which allows you to switch carriers and keep your phone if you want. Buying your phone unlocked means you’ll avoid carrier bloatware like extra apps and services you don’t need. If you are an Android user, it also means the carriers can’t hold back your software updates. If your phone is just a year old or less, you really don’t need to get a new one. This is where things get personal. Picking a smartphone operating system is a huge deal. You’re buying into an entire ecosystem of apps and compatible products when you choose between Android and iOS. Apple’s iOS is a beautiful, simple operating system and the App Store offers the best app selection imaginable. Each and every aspect of iOS is curated by Apple, and it shows. Android is more open and it has fewer rules, but that means that manufacturers and app makers can willfully ignore Google’s Material design language and do whatever they want, sometimes rendering Android unrecognizable and cluttered. Android is gorgeous, as seen on Google’s Pixel 3 and 3 XL, but you don’t often see it like that. Since Apple is the only company that makes iPhones, it also has complete control over software updates. As such, iPhone users always get the most recent and best iOS experience possible. It released iOS 12 in September, and already 50 percent of Apple devices are on it. Android users don’t have that luxury. Unless you own a Pixel or Nexus device — and very few of Android users do — you will have to wait months if not a year to get software updates. Software updates contain security updates, which keep your phone safe from malware, viruses, and hackers. Android is the most heavily targeted mobile OS, so it is attacked by the worst bugs, like Stagefright and Heartbleed, both of which remain unpatched for millions of Android users. Google now issues a security patch every month, but many manufacturers don’t push them to users in a timely fashion, if ever. In contrast, Apple can immediately patch security flaws and send the updated software to all iPhone users immediately. Since most users update their software when prompted, most iOS users are protected from these very real threats. There is no denying that iPhone users are safer. Apple’s iOS also offers full encryption with no compromises. If you care about your security, you should buy an iPhone. A phone is so much more than its spec sheet. Your entire life is stored on it, from your photos and contacts to your music and your favorite apps. For that reason, we take great care when we review phones to recommend only the absolute best out there. We use each phone we review as our daily driver for an extended period of time to test out all the features. We do benchmarks, play games, take photos, plunge them in water, and use them until their batteries expire. Then we charge ’em up and do it all over again. We test devices like real people use devices. We’re not in some stuffy lab during obscure tests. We’re running around the cities we live in using these phones just like you use your phones. Then we think about each phone in comparison with its competitors to come to a decision: Should you buy this phone or something else? If the answer is “something else,” we tell you what to buy instead. Smartphone innovation has peaked, and the number of radical new features that come out each year is shrinking. As such, when you’re buying a phone, you’re buying a device that will be with you 24/7 for several years. It’s a big choice, and things like apps, a product ecosystem, customer support, and security should be important factors in your buying decision.